"Seriously, cut the crap guys!" The boys are back! 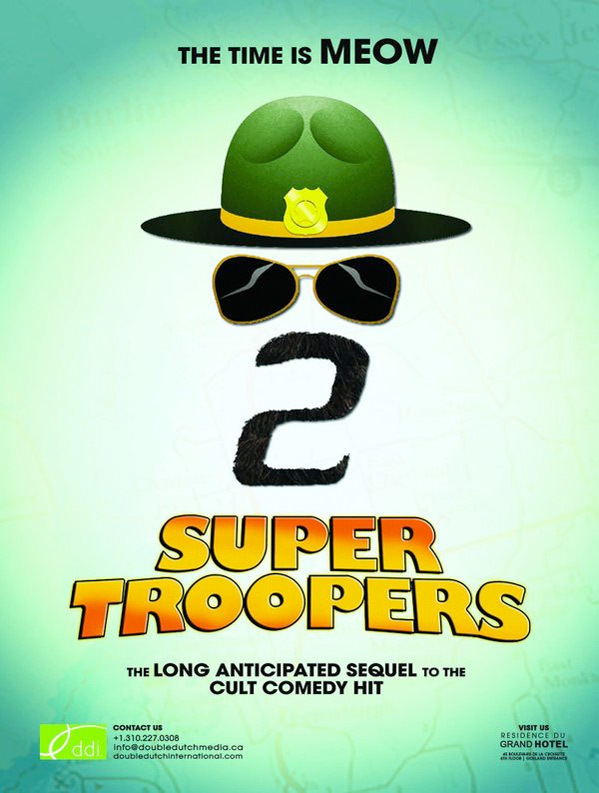 Fox Searchlight has released an official teaser trailer for the long-awaited sequel Super Troopers 2, hitting theaters next spring some 17 years after the first movie became a huge hit. This ultimate stoner comedy picks up where the first one left off and follows the Super Troopers who are tasked with establishing a Highway Patrol station in a border area between the US and Canada. Pretty much everyone is back: Jay Chandrasekhar, Kevin Heffernan, Steve Lemme, Paul Soter, Erik Stolhanske, Brian Cox, Lynda Carter, and Marisa Coughlan. The newcomers include Emmanuelle Chriqui, Rob Lowe, Tyler Labine, Will Sasso, and Hayes MacArthur. This actually looks like it's going to be fun, just what the doctor ordered. Seems like they're pushing the comedy forward. The long-awaited sequel to Broken Lizard's smash hit Super Troopers from 2001. When a border dispute arises between the U.S. and Canada, the Super Troopers are tasked with establishing a Highway Patrol station in the disputed area. 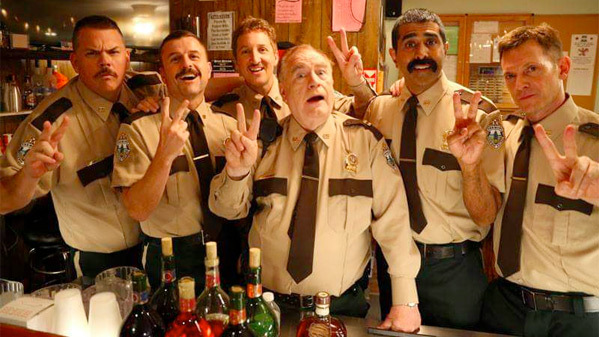 Super Troopers 2 is once again directed by comedian/actor/filmmaker Jay Chandrasekhar, one of the Broken Lizard members, who has directed many films previously including Puddle Cruiser, Super Troopers, Club Dread, The Dukes of Hazzard, and Beerfest; plus lots of TV work in the past few years. The screenplay is written by the Broken Lizard team (aka Jay Chandrasekhar, Kevin Heffernan, Steve Lemme, Paul Soter, Erik Stolhanske). Fox Searchlight will release Broken Lizard's Super Troopers 2 in theaters everywhere starting April 20th, 2018 (4/20!) next spring. You ready for this one?